1866 by the Reverend T. Williard Lewis, Presiding Elder, and the Reverend Thomas Phillips as a part of the Orangeburg Circuit. property was acquired on the corner of Amelia Street and Pittam Alley, now the site of the Orangeburg County Court House. A building was erected and dedicated in 1870 facing Pittam alley. 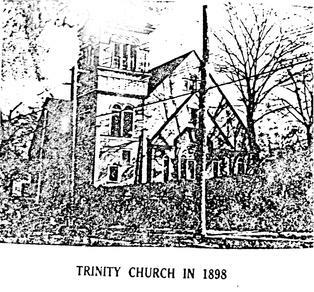 The Church was incorporated in March of 1896 as Trinity Methodist Episcopal Church. In 1876 Trinity M. E. Church became a station, and a larger church was built facing Amelia Street. In April of 1927, Governor John B. Richards, Chairman, and Wallace C. Bethea, Secretary of the Board of Trustees of the Colored Normal, Industrial, Agricultural and Mechanical College of South Carolina (now S.C.S.U.) conveyed to the Trustees of Trinity and their successors in office, namely, A.E. Bythewood, J.W. Montgomery, S.E. Middleton, D.W. Thompson, Jacob Moorer, McD. Sulton, and J.M. Maxwell, the property fronting on North Boulevard and Amelia Street. After moving from the original site, the congregation worshipped in the T. Williard Lewis Chapel of Claflin College until a wooden tabernacle was constructed on the present church grounds in 1927. The ground was broken for the new church in the Spring of 1928, and the congregation moved into the basement in 1933. Little work was done during the depression years until 1939 when the permanent floor was laid in the Sanctuary. The first service in the completed structure was held on August 20, 1944. 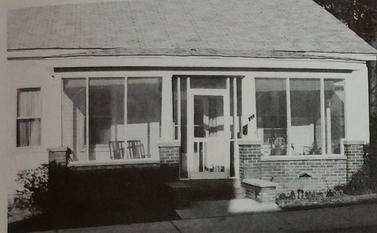 After many financial drives, the mortgage was retired and the Church was dedicated in 1954. During its long history, Trinity has served as a spiritual haven for students of Claflin and South Carolina State and the Orangeburg community. Trinity has been a focal point for community service programs and its members have been in the vanguard of civic improvement projects. Trinity was named to the national Register of Historic Places in 1994. The South Carolina African-American Heritage Commission initiated a project designed to encourage churches to preserve their history by focusing on window donors and their stories. This project resulted in “The Windows” being published in January 2015. This book details the history of the windows in the church building and tells the story of many of Trinity’s original members and the community. Trinity Church of Orangeburg, South Carolina, was organized on the first Sunday in January, 1866, by the Reverend T. Willard Lewis, Presiding Elder, and the Reverend Thomas Phillips as a part of the Orangeburg Circuit. 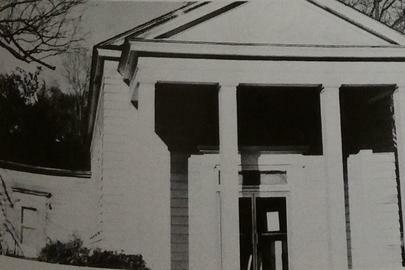 The first meeting was held in a school house built by the Freedmen’s Bureau. The school house was the meeting place for our Methodist congregation for the next three years. On March 3, 1868, a title to the property on the corner of Amelia Street and Pittam Alley in the City of Orangeburg was issued to . . . the duly elected trustees and their successors in office, viz., George Williams, Samuel Utt, Abraham Martin, Sam McDuffie, Caesar Holmes, Gabriel Thomas, and Will Dannelly in trust that the said premises shall be used, kept, maintained and disposed of as place of divine Worship for the use of the Ministry and Membership of the Methodist Episcopal Church in the United States of America subject to the Discipline, usage and ministerial appointment of said church as from time to time authorized and declared by the General Conference of said Church and the Annual Conference in whose bounds the said premises are situated. The cost of this property, 280 feet by 225 feet, was Four Hundred Dollars, The Reverend T. Willard Lewis, Superintendent of Churches and Schools of the Methodist Episcopal Church in South Carolina, paid the cost of the property to the sellers – E.A. Bull and W.N. Scoville. That the Methodist Episcopal Church of the United States hath authorized and organized the religious Society and Church at Orangeburg CH in the county aforesaid, known as and called Trinity M.E. Church having more than one hundred members. In 1878, Trinity Methodist Episcopal Church was made a station. A parsonage was built in 1891 a the cost of $900.00. In 1878, a large and imposing church building was erected facing Amelia Street. This structure had the capacity to seat several hundred, and an annex that served as a parish hall with accommodations for some of the Sunday School classes.
. . . Whereas the Trustees have entered into a tentative agreement with Mr. W. E. Atkinson that they would convey to him all of the property owned on Amelia Street and Pittam Alley for and in consideration of all that part and parcel of property owned by the Trustees of State College and Mr. W.A. Livingston, and others fronting on North Boulevard and Amelia Street and $5,000.00. Be it resolved that it is the sense of this Quarterly Conference assembled this 19th day of October, 1926, that the Trustees have made a wise deal and it speaks for the best interest of the church and all concerned. Be it further resolved that this Quarterly Conference do now and here authorize the Board of Trustees to make the legal conveyance of this property to Mr. W.E. Atkinson for the above consideration mentioned. 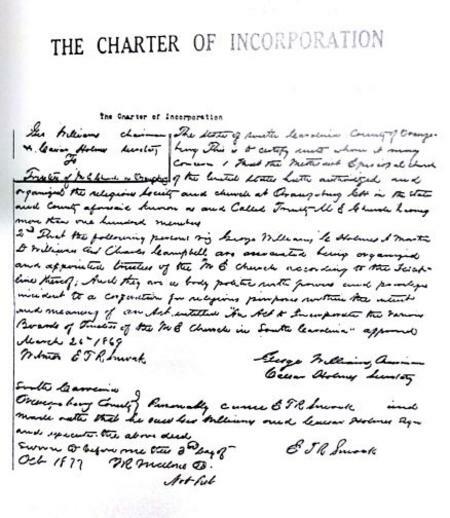 Because of certain restrictions in the original title of 1868, it was necessary to secure the consent of the South Carolina Annual Conference, the Board of Home Missions – acting for the Methodist Episcopal Church, and the Heirs of the original grantors. The South Carolina Annual Conference was in session in Hartsville, December 11, 1926. The Reverend E.G. Richardson, being the Resident Bishop, passed a resolution consenting to the sale of the property, The Board of Home Mission and Church Extension likewise gave its approval. A court of equity after a hearing concerning the rights of the heirs of the grantors and others interested, authorized the Trustees of Trinity Methodist Episcopal Church to sell the property as they desired. On April 8, 1927, John G. Richards, Governor and Chairman, Wallace C. Bethea, Secretary of the Board of Trustees of the Colored, Normal Industrial and Mechanical College of South Carolina, and W. A. Livingston conveyed to the Trustees of Trinity Methodist Episcopal Church and their successors in office; namely, A.E. Bythewood, J.W. Montgomery, S.E. Middleton, D.W. Thompson, Jacob Moorer, McD. Sulton, J.M. Maxwell, the property fronting on the North Boulevard and Amelia Street. After moving from the original site, the congregation worshipped in the T. Willard Lewis Chapel of Claflin College for a short while until a wooden tabernacle was constructed on the present church grounds in 1927. The ground was broken for a new church in the spring of 1928. The congregation remained in the tabernacle with its sawdust floor while work proceeded on the church building. Being caught in the great depression, construction advanced slowly until the outside walls and the roof were completed. Finally the congregation moved into the basement of the new church building in September, 1933. Very little work was done on the building until 1939, when the permanent floor was laid in the sanctuary, the ceiling installed, the walls plastered, and the front steps constructed. 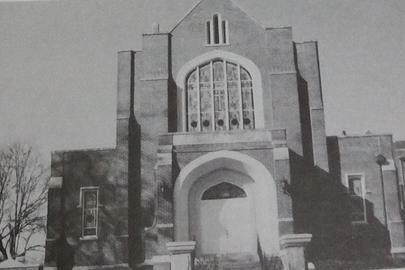 The first services were held in the sanctuary on August 20, 1944. Later the stained glass memorial windows were installed and work continued on the Church School wing and the parish hall beneath the sanctuary. In 1949, a two story brick veneer parsonage containing eight rooms was erected on the church property near the church edifice. The parsonage was dedicated during the South Carolina Annual Conference which was held at Trinity Methodist Church the same year. The church was practically completed at the time of the conference. A concerted major financial drive was launched in 1952, which culminated in 1953 with the raising of the necessary funds to pay off the mortgage on the property. The mortgage burning and dedication services were held in 1954. Fire proof metal stairs to the choir room were installed and additional work was done on the Church School wing in 1956. In 1958, new furniture was purchased. The new furniture consisted of chairs, tables, desks and blackboards for the Church School classrooms. 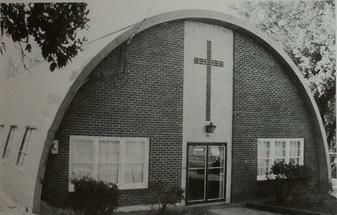 The sanctuary and parish hall were air-conditioned in 1961. 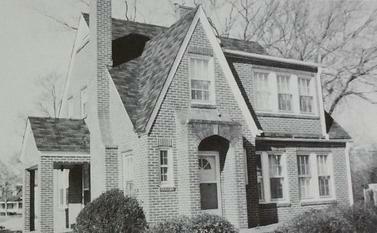 In 1964, a two-car brick garage was built in the rear of the parsonage. During the same period a chain link fence was placed along the side and rear of the property lines. A chain link fence was also placed around the children’s playground area on the church property. Approximately two-thirds of the cost of this fence was paid for by an anonymous donor. During 1965, ceramic tile and new fixtures were installed in the three rest rooms in the Church School wing. This section of the edifice also houses nine classrooms and an office for the pastor. The entire property of Trinity Methodist Church is currently (1966) valued at three hundred thousand dollars. Through the years, ministers and members have given generously of their time, talents and material substance in building this church edifice and parsonage. The congregation is also indebted to the many friends who contributed to the building fund. Two outstanding gifts to the construction fund were gifts totaling thirteen thousand dollars by the Board of Home Missions and Church Extension of the Methodist Church, and the proceeds from the sale of three parcels of property donated by the late Dr. L.M. Dunton, third president of Claflin University. During the long history of Trinity its religious fervor has always been high. She has served as a spiritual haven for students of Claflin and South Carolina State Colleges and the Orangeburg community. Her doors are open at all times to everyone. Trinity has been a focal point for community service programs and its members have been in the vanguard of civic improvement projects. In 1962-63, the church was the headquarters for the Orangeburg Movement of human dignity and civil rights for the all citizens of these United States of America. Trinity gave office space for the “Movement” and the use of its kitchen and parish hall for the feeding of “pickets” and other workers. During the past seventeen years, Trinity has operated a kindergarten during the regular school months. Today, our present congregation of four hundred and ninety-three members takes pride in the beautiful physical plant with which the Almighty has blessed us. As we continue to expand and improve it, we are mindful of the rich heritage that has come down through the past one hundred years, the abiding faith in God of the founding fathers who felt that because of the nobility of their work and righteousness of the cause their labor would not be in vain. The following are the names in chronological order and the years of service of the pastors, district superintendents, and bishops who have faithfully led Trinity’s membership during the past one hundred years. The places and dates of the Annual Conferences are also indicated. Personal knowledge of the writer. The second part is an eye witness account by the same writer, who has been a member of Trinity for the past sixty two years; during which time he has served on numerous committees from usher to trustee; and is presently an honorary member of the Administrative Board. Following the one hundredth anniversary celebration in January 1966, the congregation did not sit down and bask in the sunlight of past achievements. Instead they continued to go forward in the service of the Master, under the leadership of the Reverend John W. Curry, the pastor of the Church. New carpeting was installed in the Sanctuary, the pews were refinished and the choir area was changed to an open chancel style. New pulpit, lectern, communion table and chairs were purchased. Additional work was done in the installation of tile and fixtures in bathrooms and interior painting in the parsonage. The buildings on this property were renovated. A new roof and interior work were soon completed and the Kindergarten was moved to the brick building. The old church edifice was named the Thomas Phillips Building and leased to the Family Consumer Health Agency for offices. Trinity waived two years rent as a contribution on the renovation of this building. The interior of the Quonset hut was completely renovated. Separate rooms with closets for storage of equipment and shelves for the Girl Scouts and the Boy Scouts, new rest rooms were equipped with showers; a large room, where the youth organization could use for recreation purposes, was equipped with tables and chairs for banquets, as well as meetings of Church and Civic organizations. The Methodist Men paid for the central air conditioning unit in this building, which was named the John W. Curry Center, in honor of the pastor at that time. The Curry Center served as headquarters for the outreach program of Trinity. This program was organized for community service among young people as well as adults to help prevent and treat alcohol and drug abuse. The salary for the Director of this program was funded the first year by the Board of Home Missions and Church Extensions of the Methodist Church. In 1974, The Reverend James M. Bradley was assigned to the pastorate of the Church. The community service work was continued and two rooms that housed the Kindergarten in the Church School wing were used as office space for the S.C. Conference Wesley Foundation program. In rendering service to students of Claflin and S.C. State Colleges, the Parish Hall was made available for recreation and instruction. In January of 1976, property fronting on Boulevard and bounded by the Church property on the rear line was purchased from the Maxwell Estate. 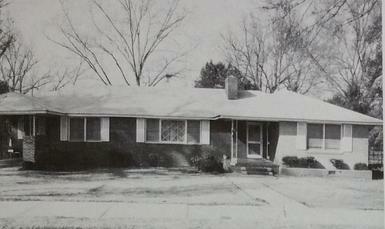 In June of 1977 the Orangeburg District parsonage that was adjacent to the Church was purchased. The parking area was paved; and the front and one side of the Church building cleaned. In 1978 the pastor’s study in the Church school wing was completely redecorated with carpeting, drapes and curtains, new book shelves, new desk and chairs. The cost of this work was paid for by the United Methodist Women. In June 1979, the Reverend John D. Boone, Jr. was assigned as pastor to the Church. The new pastor elected to live in the former district parsonage. New furniture was purchased and interior and exterior painting was done in that building. The John W. Curry Center was leased to the Head Start Agency in August 1979. During 1980 the windows of the entire church building were worked over and strengthened, replacing broken panels and cleaning. The cost of this project was $18,000.00 and was paid for out of reserve funds that had been accumulated during the past several years. In the fall of 1982, plans were initiated for raising funds for the Special Project, a new roof and pipe organ, also plans were make for a Homecoming in August, 1984. In June 1983, The Reverend George W. Watson became the pastor. Additional furniture was purchased for the parsonage, a new roof was installed and interior painting was done. Emphasis was placed on revitalizing the Spiritual commitment of the membership and increasing attendance at worship services and in the church school. A Bible Study Class was organized, meeting on Sunday afternoons. Plans were made to celebrate the two hundredth anniversary of Methodism along with the Homecoming in 1984. A committee of One Hundred Volunteers was organized to raise the necessary funds for the Special Project, a new roof and pipe organ along with painting the Sanctuary. The Church’s property is currently valued at one million dollars.